Israel’s Guy Starik won Gold at the Rifle Prone competition, taking Israel’s medal count up to 2 Golds, and lifting his country atop of the intermediate medal standings. Olympic Silver medallist Emmons of USA and his teammate McPhail followed in second and third position. 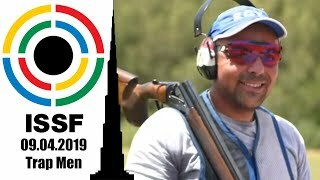 The ISSF world cup multi-medallist Guy STARIK of Israel, 44, a world record holder in this event, won the 50m Rifle Prone men event at the 2009 ISSF World Cup in all events in Munich with a total of 703. 3 points. Starik’s gold medal lifted Israel atop of the intermediate medal standings of this world cup stage, next to Russia. 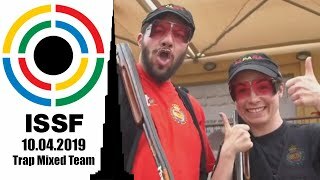 The Israeli shooter had started the final round in the lead with a qualification score of 598 points, and build up his victory by firing great shots as a 10.8 fired on his second competition shot. With an extreme final of 105.3 points, Starik claimed his fourth world cup gold medal. Following Starik, Silver went to the 2004 Olympic Champion of Athens, and Olympic Silver medallist of Beijing, Matthew EMMONS of the United States of America. Emmons, taking part in his first international competition this year, climbed the scoreboard shot after shot, overtaking both the Olympic champion Aivazian and his 27-year old team-mate Michael McPHAIL. The United States of America celebrated two medals today, as Emmons teammate, USA’s Michael McPhail grabbed Bronze with 701.0 points. 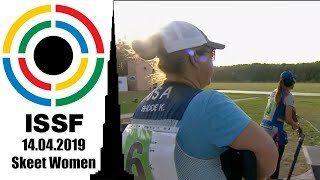 The 27-year old shooter had won a Bronze medal at the previous ISSF World Cup held at the Olympic Shooting Range of Beijing. The Final was closed by an exciting shoot-off between the two best Rifle Prone shooters of the world. Coming from a weak qualification, Beijing’s Olympic Champion Artur AIVAZIAN of Ukraine finished the match tied to the 2008 World Cup Final winner and Beijing’s Olympic Bronze medallist Worren Potent with a total of 700.8 points. The two athletes had to pass through a shoot-off, won by Potent 10.1 to 9.0 points. 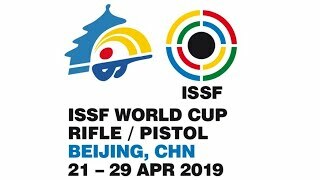 The 35-year old Slovakian shooter Jozef Goci, who had won here a World Cup Final silver medal in 2000, scored a disappointing shot of 9.0 points on his sixth competition shot, dropping down in the scoreboard. He finished his final match in fourth place with 700.9 points. 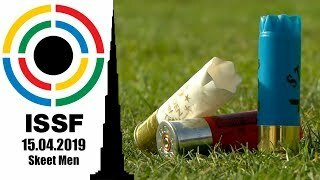 Austria’s Christian PLANER, who made into the final by winning a 10-way shoot-off, finished the final in seventh place with 698.1 points, preceding the shooting veteran Vaclav BECVAR, a 51-year old three-time Olympians, who closed the match in eighth with 696.9 points. He had won his last ISSF award in 2003, at the ISSF world cup in Changwon.